Pro-marriage rally in the SLC State Capital on Tuesday. Those of us who believe in standing for something should support this effort. It is worthy and worthwhile. 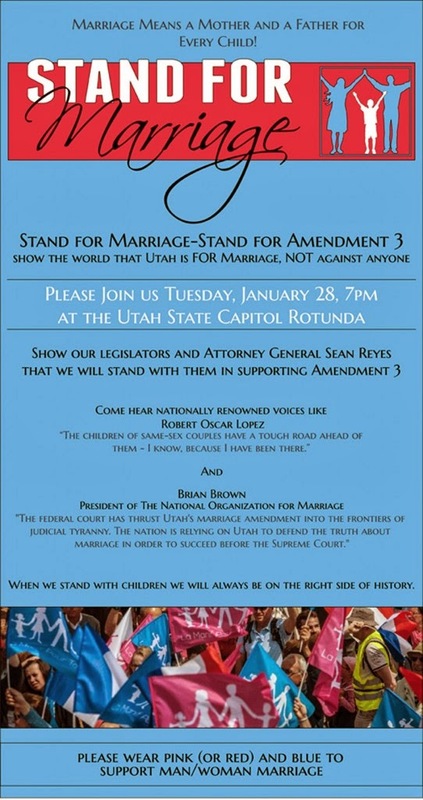 Rally details from the Utah Celebration of Marriage web page. 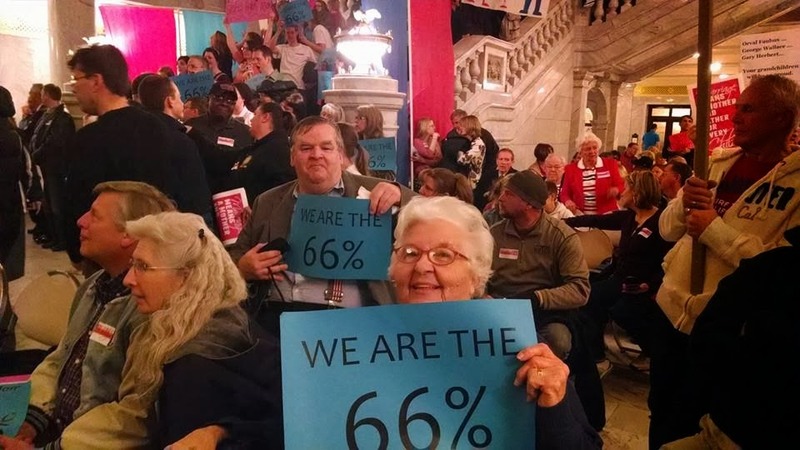 The pro-marriage rally at the Utah State Capitol was a successful gathering. Several times disruptive demonstrators tried to dominate the floor, but there were many law enforcement officers present who quickly showed them the door. The program for the evening was a bit of an overreach, and many of the audience were visibly weary by the concluding speaker. But it was an effective show of force, and ultimately a good time was had by all. Thanks to those who showed up, or were otherwise supportive. We raised the roof of the Capitol a bit with our enthused shouts. As the Utah AG Reyes informed us, this is NOT a "losing effort", though many opposing it chose to so characterize it. Many honest men and women who believe in sticking to our ideals have expressed their approval by their acts. It was reported that initial estimates were that the legal defense would cost Utah taxpayers over 2 million dollars. Reyes said the most of defense team they have put together declined to receive full payment for their work, and now is estimating something in the range of $300K instead. These are dedicated qualified legal professionals who also believe it is time to stand for something. Other speakers at the rally gave inspirational talks. But I am most hopeful after the good report from the State Attorney General that things are being handled properly at the legislative level. Coverage in the Deseret News, SLTrib, Daily Herald, Fox13Now, KSL, USA Today, KUTV, 4News. This issue gets lots of media coverage. Deseret News published my "letter to the editor" regarding legal support for traditional marriage.